As your family grows in 2019, insurance quickly becomes a crucial aspect of providing financial stability for everyone in your home. As your family grows in 2019, insurance quickly becomes a crucial aspect of providing financial stability for everyone in your home. Because life can often be unpredictable, it is important to always be prepared with the right forms of coverage that can benefit both you and your family throughout their lives. In planning for the new year, consider these three essential forms of insurance for your growing family. 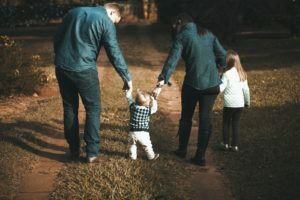 If you were unable to complete the tasks of your job due to an unforeseen illness or injury, is your family financially provided for based on the income of your spouse alone? As you are considering whether or not you need disability insurance, this is a particularly important question to ask yourself. This question becomes even more crucial as your children come into play, as a disability or prolonged recovery period can have a significant impact on your financial stability. With disability insurance, you can ensure that your income is protected and that your family is provided for if you cannot work. Health insurance is essential for everyone. However, it is especially important for growing families. If you are planning to grow your family in the near future, now is a great time to invest in an insurance policy before your pregnancy. This step will allow you to access the necessary prenatal care during your pregnancy and will ultimately maximize your odds of a healthy delivery. Because prenatal visits are often considered preventative care, they will likely be covered by your health insurance. Save yourself from costly out-of-pocket expenses by investing in the right insurance plan for your needs. The arrival of a new baby will also force you to consider some difficult questions surrounding the care of your child in the event of a threat to your physical or financial wellbeing. In considering your home, your child, and your career, it is essential to ask yourself how your family is cared for if you were to pass away suddenly. Life insurance is there to answer this question, as the right life insurance policy serves to cover funeral costs, debt payments, and the future financial needs of your family. Purchasing life insurance is an essential step in planning for a growing family, ensuring that your family has financial protection in the event of your passing. This entry was posted on Friday, January 18th, 2019 at 11:13 am. Both comments and pings are currently closed.